This is new type of sizing machine is very compact and useful to Gold smith and imitation jewellery manufacture. A special feature of this machine is you can level bangle or ring with first stroke. You are getting perfect bangle or ring sized with the second stroke and with the third reverse stroke the bangle is removed automatically with bangle retrieving ring. 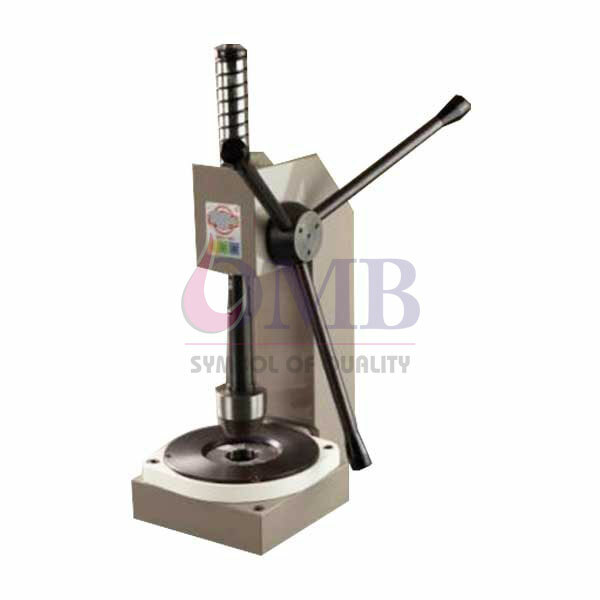 Bangle sizing machine is useful to golsmith Manufactures. This machine is manually Operate to size all types of Bangles.